Huge self-standing ATE (supply & measurement). ATE x UPS: Test Bench for high power UPS testing. Application: Industrial witness test for 3F UPS up to 300KVA. ATE x BP: Test Bench for door interlocking devices. 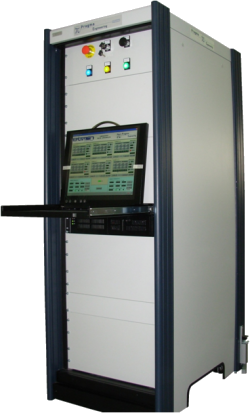 ATE LASET: test bench for high speed digital testing. Custom ATE: Test Bench for military cipher devices. ATE x LEU: Test Bench for Railway’s Line Encoding Unit. 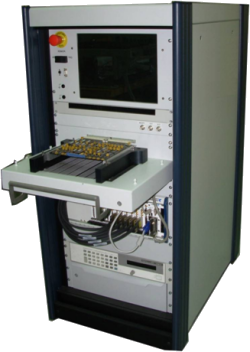 ATS x LEU: Test Bench for Railway’s Line Encoding Unit. ATS x UPS: Test Bench for high power UPS testing. 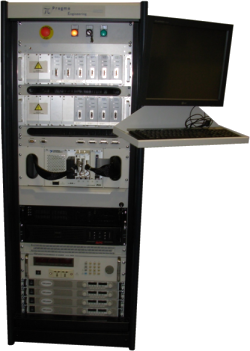 ATS LASET: test bench for high speed digital testing. ATS x BP: Test Bench for door interlocking devices. 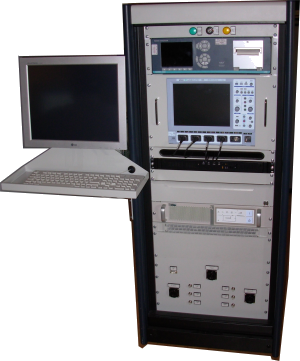 Custom ATS: Test Bench for military cipher devices.